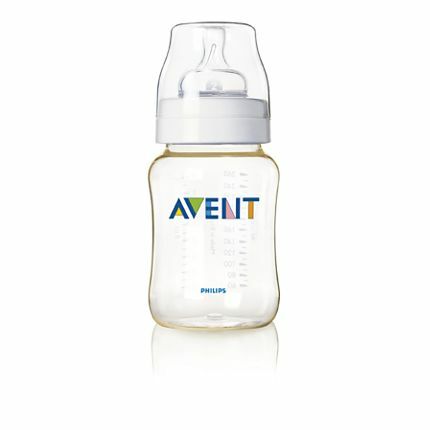 In the Giant ad last week and again this week Avent bottles are $2 off retail price. I was curious as to what that meant and happened to look at them in the store. I never knew Giant was selling them, and I assumed they would be priced high. It turns out that a single bottle is normally priced at $6.99 and so the sale of $2 off with your bonus card makes a single bottle $4.99. They also have 2 packs available too and they are normally priced $12.99 so that makes it $10.99 for 2 bottles or $5.50 a bottle. Even that is still a good deal. I picked up the singles and a couple double packs and even went to another store and picked up a couple more. This is for either the 4oz or the 9oz bottles BPA-free Avent bottles with the blue writing on the box. I understand the blue writing means they have the “new” ring that helps prevent over tighting which causes leaking. I’m so excited since my husband and I have decided to stick to BPA free and we really like these bottles and hope they work for the twins. Only a couple more months before we see them. Let me know if you find them for a different price! To find other great deals at Giant go to Redemption Unlimited to find some other deals in the Northern Virginia/DC area.